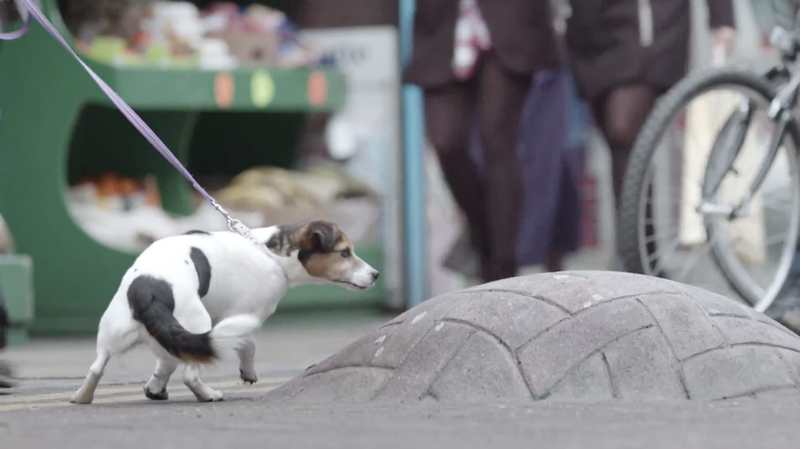 Cancer Research UK is running “The Lump”, a commercial centred on a British high street in which a mysterious lump grows out from the pavement. The lump gets bigger and bigger until it would seem to be impossible to ignore. 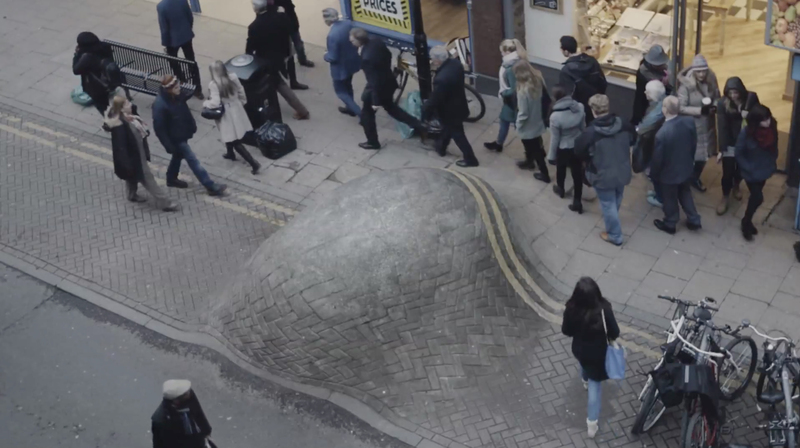 Despite its size, hundreds of pedestrians walk past the lump each day, ignoring the disturbance. The commercial is designed to challenge the tendency British citizens have of living on autopilot, too preoccupied to stop and check if everything’s OK with their health. ￼￼Abi Brown, head of health campaigns at Cancer Research UK said: “This ￼campaign highlights a really important message about early diagnosis, which is ￼one of the greatest weapons in the fight against cancer. Success relied heavily on the believability of the lump. Multiple-sizes were made by award winning special FX company Artem. Each lump was 3d moulded and carved by a robotic multi-axis sculpting machine, then painted and textured to exactly match the pavement and road surface of the high street. Each lump was placed in situ, so it appeared to grow over time. Six cameras were then trained on the lump to capture the reactions, or more importantly, non-reactions, of those who passed by. Artem describe the process behind the six lumps. “The first step was to design the road lumps using our 3D virtual sculpting software, based on photos we had taken of the street on location. Our designs were then directly cut out in raw polystyrene foam using our KUKA robot arm. The machined pieces of polystyrene were finished by hand by our keen team of artists; they were sealed with a waterproof coating of paint after being sanded down with sandpaper and wire brushes. To match the street on location, we had to create a brick-like texture, which we achieved by using various fillers; we also had to ensure that the right colouring was used. An outdoor campaign supports the film and also sets out to test the publics’ powers of observation. The posters encourage people to spot anything unusual within the copy and to look out for small changes in the layout, linking the tasks with the importance of spotting cancer early. The Don’t Ignore The Lump campaign was developed AMV BBDO, London, by creative director Mike Crowe and Rob Messeter, creatives Michael Jones and Charlotte Adorn, account team director Anthony Newman, agency producer Sophie Horner. Filming was shot by director Sam Cadman via Rogue Films with producer Maddy Easton. Post production was done at The Mill by Flame artist Joseph Tang. The lump models were produced at Artem. Editor was Kevin Palmer at TenThree. Sound was designed by Gary Turnball at Grand Central. Music was produced at The Sound Works.